Snapchat's latest bid to bring more eyes to its platform has arrived in the form of exclusive video content. 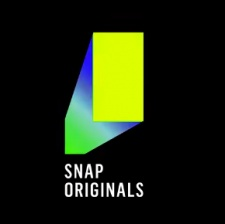 The company has announced 'Snap Originals', a very Netflix-inspired collection of original content produced solely for Snapchat. The 12 new shows will premiere in Snapchat's Discover tab over the next few months. They'll include a combination of reality TV shorts and scripted series' made by a number of outlets. Snap Originals began airing today, the first being Endless Summer - a reality show inspired by MTV's Laguna Beach. New episodes of the series will air daily and users will recieve a notification when an episode goes live. All of the Snap Originals have been shot vertically and will be around five minutes in length each, making them digestible and easy to view in Snapchat itself. Snapchat will accrue revenue with unskippable six second ads that'll run two or three times per every five minute episode. Snapchat has experienced turbulence as it struggles to rebuild after a poorly executed redesign earlier this year. CEO Evan Spiegal admitted this week that the company had "rushed its redesign". A leaked company memo also detailed plans that Snap has made to bring in more mature users. The platform currently has around 60 original shows running in the Discover tab already, but it seems none of them have taken off in the same way as other originals shown on Netflix or Hulu. However, Spiegal mentioned in the memo that 18 different Snapchat originals reach an audience of 10 million people every month. Social platforms are leaning more and more in to video content, but they're struggling to grow under the shadow of the existing video giants. Instagram's IGTV was met with an air of disenchantment shortly after launch as creators didn't have a substantial way to monetise their content. Facebook has also created a home for streamers and content creators, particularly in the gaming sector. It now has a customised destination that acts as a built-in video platform, and Facebook creators can monetise their content as they would on YouTube or Twitch.